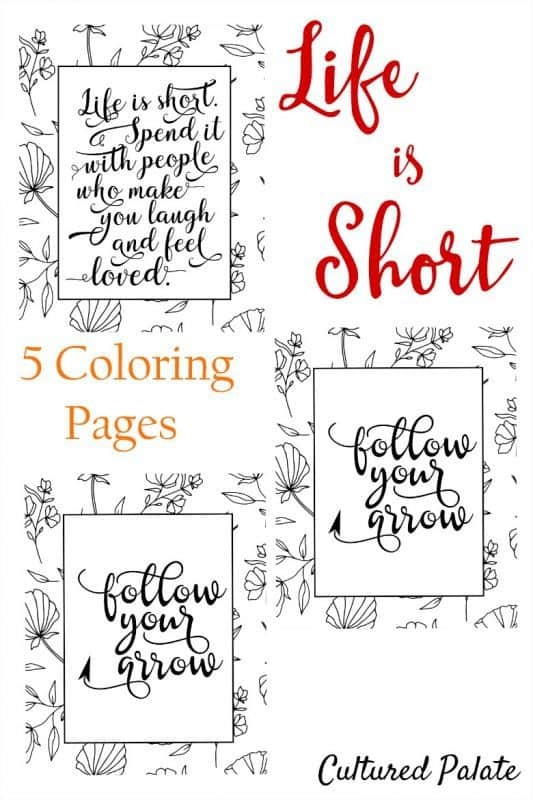 Let’s face it, it is easy to get bored with the same old thing and that is what the Life is Short Coloring Pages Set is all about – giving you something new and different! Do you get bored with the same old thing? I like to change things up and do different things with my time. And, coloring is no different. I like unique designs. Different saying. 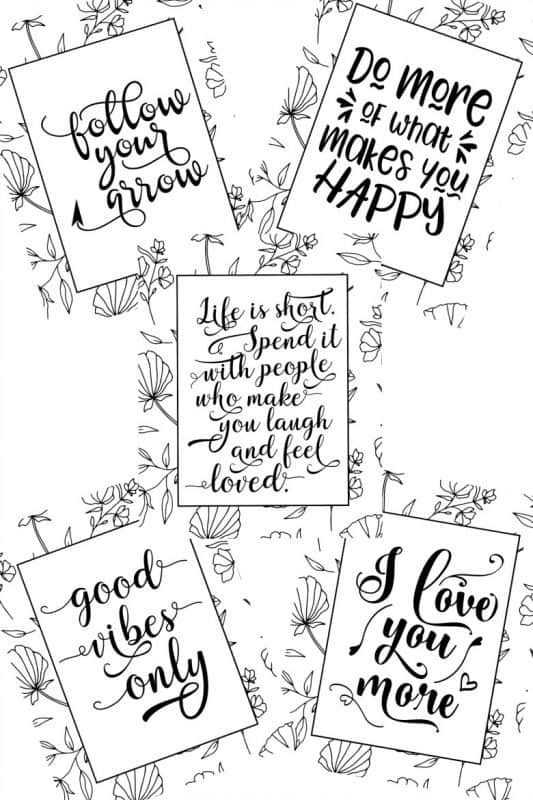 Saying and verses that inspire and uplift me – or make me laugh! After all, life is too short to let what you spend your valuable time coloring be boring! So, be sure to check out the Cultured Palate Shop where I have just added many new designs of coloring pages. Coloring pages for adult, coloring pages for children, coloring pages for anyone. I want to be able to inspire you and give you the tools you need whether you are an adult that likes to color or a mom looking for something for her children. I love budget friendly activities and coloring is just that! 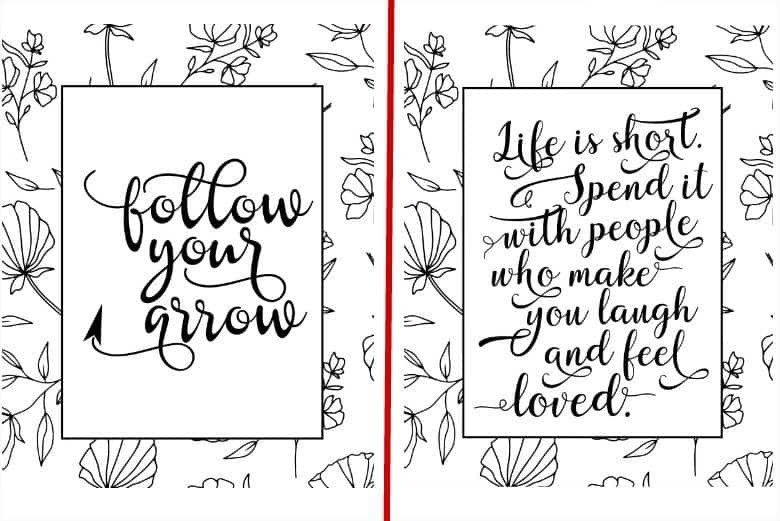 Especially when you can print them on regular copy paper or card stock for a more durable coloring page. If you haven’t tried coloring yet, why not give it a whirl – you might be like me, and find that it truly is a relaxing hobby. In fact, more times than not, once I start coloring, at least one child joins me. Many times, several children join in the fun! I like to use coloring pencils or markers but you can also use crayons. I personally think crayons are a bit more difficult if the design is detailed. The point is to start coloring and have fun while you encourage your spirit. Daily Life Planner - Get Organized!